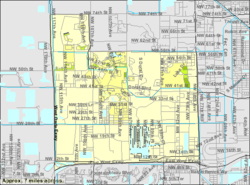 Do you live in Doral? 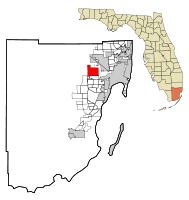 Doral, often referred to as El Doral in Spanish, is a city located in north-central Miami-Dade County, Florida,United States. 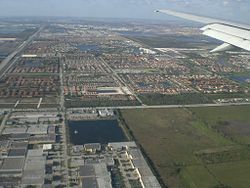 An industrial and suburban mixed neighborhood of Miami, it lies north-west of Miami International Airport. It takes its name from the Doral Golf Resort & Spa located within its municipal boundaries. Originally built by Doris and Alfred Kaskel, who coined "Doral" by combining their names. The city is nicknamedDoralzuela due to the city's large and affluent Venezuelan community. For a city of its size, Doral has a large number of shops, financial institutions and businesses, especially importers and exporters, primarily because of its proximity to the Miami International Airport. In 2008, Fortune Small Business and CNN Money ranked Doral as 51 on a list of 100 cities with the best mix of business advantages and lifestyle appeal. Motto: "For all the right reasons!"